Starring: Ryan Gosling, Emma Stone, and more. It is sweeping award shows, it is ringing in critical acclaim, but what exactly is ‘La La Land’ and why is it bringing such praise? Well as I am a big advocate for everyone to round up their own opinion, let us review ‘La La Land’ through the eyes of someone who is not (maybe yet *wink wink) in the pocket of the big business. Let us mark ‘La La Land’ as Oberrated and get an opinion you can hopefully trust! The story of ‘La La Land’ follows two struggling stars in-the-making and their little love story that grows through the duration of the film. One side, a jazz player by the name of Sebastian (Ryan Gosling) who has struggled with breaking into the spotlight for quite some time. On the other side, his equal, an actress by the name of Mia (Emma Stone) who has always dreamed of stardom since her childhood. Working as a barista during her little free time while also placing herself in audition after audition during the remainder of her time. The two create a love story fueled by each others dreams while working tirelessly to make said dreams come true. As charming as can be, as creative as can be, nearly perfect as can be. 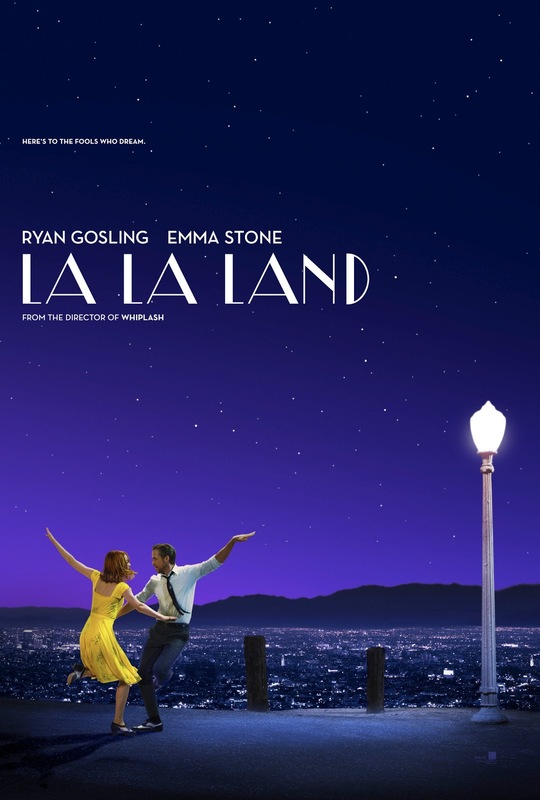 ‘La La Land’, if musical films are of any interest to you, will demand to be watched from start to finish. Right from the start, the highway music number is an incredible watch. From production to performance, it is an absolute delight to and is simply the beginning for what ‘La La Land’ delivers for two hours.. Ryan Gosling and Emma Stone take what is a two character performance and run with it. The film rarely feels dull or boring as one or both of these two are on the screen no matter a spoken performance or musical number. The charisma and charm bleeds out of these two with every passing moment with a chemistry that is through the roof.. Damien Chazelle shows his love of music, and specifically Jazz, with yet another brilliant music-oriented film. First, he delivered us ‘Whiplash’, which remains to be one of my favorite films, and now we have ‘La La Land’, a film I did not expect to love AS much as I did due to it being a musical but Damien is simply a brilliant mind when it comes to these films. I am excited to see what he will continue to deliver to the public in the future. A special note to the true meaning to the film: That you never stop working for your dreams. No matter how many times you fail or are told “No”. ‘La La Land’ is an incredible piece of film. As I said before, I gained interest simply because I loved ‘Whiplash’ and what Damien Chazelle does with his films but I never expected to love a musical film as much as I did. With a phenomenal performance by the duo of Gosling and Stone as well as simply a near perfect production background. ‘La La Land’ deserves every award it gets as it faces off with film titans in each of its respective categories with the coming award shows.